Gabourey “Gabby” Sidibe has truly arrived. Forget the Academy Award nomination, this girl’s gonna be on Saturday Night Live! On March 14, a Facebook group entitled “We want Gabourey Sidibe to host SNL” launched, with the mission statement of getting the Oscar-nominated “Precious” actress to host the sketch comedy show. Mission accomplished, if early reports are to be believed. E! is reporting that Sidibe will host an episode of “Saturday Night Live” in the coming weeks. An exact date has not yet been set for Gabby’s SNL hosting gig. 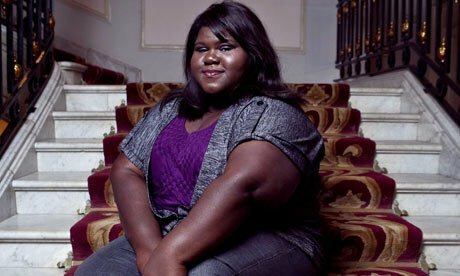 Gabourey “Gabby” Sidibe is an American actress who made her acting debut in the 2009 film Precious: Based on the Novel “Push” by Sapphire, a role that garnered her a nomination for a Best Actress Academy Award. … Sidibe is currently awaiting the release of her two newest projects: Yelling to the Sky, and The Big C.
In the film Yelling to the Sky, Sidibe plays Latonya Williams, a bully of sorts. Not much else is known of the film at this current moment, except for the fact that it is in post-production. “Are you insane?” The show should premier late summer 2010. 53 queries in 1.438 seconds.